Littleton's an RFA, so the odds of him being back are considerably better than not. We're probably going to have to put at least a 2nd round tender on him given the production he had this season, but fortunately this is a defense-rich draft class and there are a lot of guys in it whose skill-sets match up with what he does best, so that will likely discourage teams from itching to give him a contract we wouldn't match AND giving up pick compensation. Unless we're really pressed for needing the cap-space (which I don't see as the case), I feel like Peters is going to, at minimum, be allowed to play out his 5th year option (we have three CB's - and Darious Williams - on the roster right now including him, what with Hill and Shields being UFA's and Hatfield really being the only ERFA that's made a case to be more than practice squad fodder at this point). Hatfield and Peterson likely both get retained on tenders, but I can't see Peterson being looked at as someone who can be counted on to contribute. It'll be one of Brown or Anderson that are back, not both. The investment in Kelly was enough that, assuming he gets his pass-blocking together, he'll likely get some run-out. Fowler likely depends entirely on the price-tag. I wouldn't be shocked to see him get the franchise tag, but I'd be disappointed because i feel like it sets the benchmark that he needs to reach in order to get the contract he's expecting above what Fowler's (honestly) capable of. And we're not going to do ourselves any favors giving high-end edge-rusher money to a guy who isn't a high-end edge-rusher. I just don't see it working. For one, Reed managing to go this season without a toe injury was the first time he's done it in what? 4 seasons? Guy always misses time for injury and Everett is still on a rookie deal. I'm not opposed to bringing in some competition at TE, but Reed doesn't block and with how much we run the same personnel on offense, I just don't see the fit without forfeiting our ability to run more hurry-up (which we should be doing more of, not less). Honestly, I wouldn't be shocked if the club use this past season's underperformance on Brockers' part to extend at a much lower cost and bring his cap-number down substantially. I do agree, cutting him makes sense considering this year is his "out year" where we'd only be on the hook for $750k against the ledger, but it does create another hole. His roster bonus is due 3/15; that's post-combine, post Franchise tagging period, and post Free Agent tampering period, so Les should be able to get a pretty good feel for whether certain guys on other teams may be hitting the market or getting released - as I wouldn't expect us to release Big Mike without turning right around and going after a DL on the market - similar to how we were willing to trade-away Quinn with the eye towards a very-likely release of Suh. I could see a trade or a restructure/extension type deal. Ndamukong Suh - Everyone has been very excited since this playoff run where he actually showed up (hadnt all regular season) And if we could count on atleast that next year... sure sign me up. But that only comes with another 1 year deal. My concern is that is not on Suh list of options for 2019. He just turned 32, he probably gets to cash in one more time for a 3 or 4 year deal (3 years of money) and giving up that for a 1 year deal with us seems unlikely. 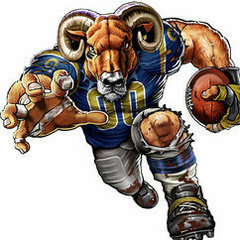 Rodger Saffold - everyone here has a soft spot for Rodger, and I agree he has been great, but I will point out, If Whit and Sullivan dont want to retire, and we want to bring back Saffold, then we are pushing Noteboom to the bench again. I have my thoughts on whta we should do there (cut Sullivan, slide Blythe over, and get Noteboom in at a Guard spot) but I dont think they want to keep him on the bench another season. Dante Fowler Jr. - He was worth the trade, his playoff performance alone was worth it. But that does not mean we need to open the bank for him. But I agree with most, for the right price Id be interested, but I think he is one of those guys who will look to really cash in on the playoff run. The Top 3 Pick potential combined with a little bit of production while playing behind Suh/Brockers/Donald is a recipe for a dumb GM to hand out a lucrative multi year deal. Hope thats not us. C.J. Anderson - Well that was fun, but we already have too much cap space allocated to the RB position (Gurley alone) as is.So I doubt we are looking to allocate much more. Michael Brockers - This seems to be everyone's go to, and honestly I dont understand it. Was he alittle less impactful this year? Sure but he was also the one who sacrificed some of his role for Suh. And he has always been one of the guys that keeps Olines honest, letting Donald do his thing. If anything, I feel like extending him, stretching out that $10m cap hit. But getting rid of a main cog f this defense (while likely losing a few others) seems like a bad move at this point. Marcus Peters - I think this will be the most contentious player for the Rams this offseason. While he has some amazing talent, if that talent is only good with Tali across from him, why would you commit to him long term, because Talib doesnt have much in the "long term" department. And if you let him walk after next year, you arent looking at anything Compensatory till the 2021 draft, and at best a pick between 97-105. So while i agree we need to be going for it again in 2019, we need to get some young talent to suppliment all of these aging players with big contracts that we are looking to bring in. And a Top 90 pick could also make an impact right away. John Sullivan - Most havent brought him up when talking about cuts, but man, he was getting blown up more than a veteran center should this year. And the thing that stood out to me all Super Bowl was the middle of our Line being manhandled by a relatively nondescript Patriots D-line. I think he may have had his last productive year, and Id rather maximize the talent/minimize the spend of that line. Tyler Higbee - Did you know he is about to make $2m next year? Not saying he should be cut, but man, he hasnt really earned that yet. If we get cash strapped, I wouldnt be shocked to see him go. @StLunatic88 Totally agree on Sullivan. I forgot to mention him as well but I think he’s definitely a spot that could use an upgrade. I think the decision to keep or cut him will greatly depend on what happens with Whitworth and Saffold. 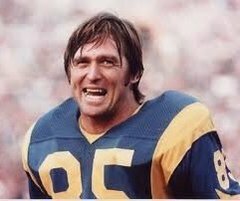 If Whit retires and Saffold signs elsewhere, then I could see them kept Sully so that there’s not so many holes to fill on the line. Honestly, if even one of them don’t come back I can see them keeping him. But if they’re both back, then we should likely move on from him. He’s a great veteran leader and one of the smartest guys on the field, but I think we’ve used up the quality years he had left. I agree with most of this. I want to punt Barron to the moon if possible. Brockers was one hell of a disappointment, never made an impact this year and he was basically facing a single blocker all year. Peters was disappointing as hell but maybe it would mean we could extend him on the cheap. I feel like we could and should bring Suh back, obviously only if the price tag is a bit lower than this year, a two year deal makes sense so he can retire with the Super Bowl in LA. Maybe we can package something to move up in the draft. I see Oliver leaving in the 14th pick to the Falcons, that seems very doable and a line with Oliver, Suh, and AD is pretty much unstoppable. Joyner can leave, plenty of quality safeties available in FA and the draft for much cheaper than he is asking for. We do need to find some pieces to run different schemes on offense, I love the whole everything off 11 personnel strategy with McVay, but sometimes we need to change things up. There might be a couple nice TE available at the end of the 1st. If some defensive spots are addressed in free agency we could see one of those taken. Maybe, but I doubt it. Outside of Irv Smith and maybe one or two others (and with them it depends on whether they fall to value spots in the 3rd or so), I really don't see much in the way of TE's in this draft class that aren't glorified finesse TE's (which is redundant of what we already have in Everett - so I don't really see the point in spending premium draft capital in that manner versus giving Everett another year of development. Honestly, I'd just sit tight and see if Austin Sefarian-Jenkins is among the Jags' cap-casualties or Vernon Davis is among the ones from Washington. We don't need to spend big money or a top pick on a TE. That's such a waste imo. Higbee is a solid all around TE, and Everett has shown flashes. I'd take a TE on Day 3. I have a couple guys in mind that I want to evaluate further. But we don't need to spend major resources on it. It's a diminishing return. We can't adequately feed Cooks, Woods, Kupp, Gurley, and a top TE in the passing game. It's just too many mouths. I understand that somebody might get hurt, so it helps to have weapons, but that's not enough of a need for a first round pick. Yeah I'm liking Mack Wilson more and more in the 1st. Just some itch growing that at TE is a possibility not that I want one. Personally, I like Olivier Vernon as an option for the Rams better than Dante Fowler. Nasir Adderley at the end of the first would be a great replacement for Joyner. He over performed what I expected of him. If it's for the right price I would be all for it.